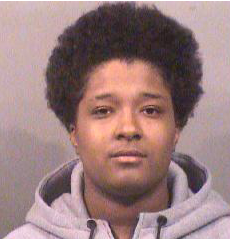 WICHITA, Kan. (AP) — A woman convicted of killing a Wichita high school student has been sentenced to nearly six years in prison. Twenty-year-old Terasha Diane Presley-Dupree pleaded guilty in July to voluntary manslaughter and criminal discharge of a firearm in the October 2015 death of 18-year-old Debrylan Bell, who was shot at least six times while he sat in his car outside of Woodgate Apartments. Witnesses reported Presley-Dupree and Dennis Saquan McGaugh III speeding away from the apartment complex after 20 to 30 rounds were fired into Bell’s car. Bell was a senior at Wichita North High School. McGaugh was sentenced in June to nearly six years in prison. Prosecutors say Bell’s killing was not a random act but the exact motive remains unclear.